Expiring content is on fire. First it was Snapchat, then Instagram and Facebook Stories, and then WhatsApp. Now, it’s finally coming to Facebook Messenger. That’s right... Facebook just announced that it’s launching “Messenger Day,” a Snapchat clone. 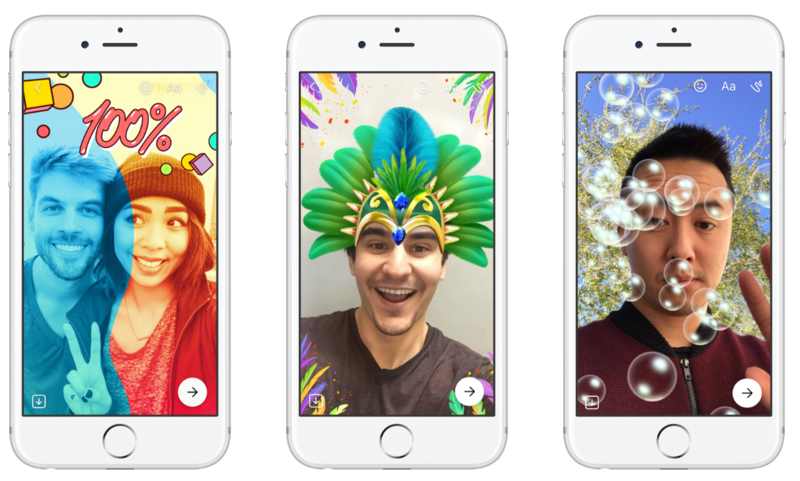 In other words, Facebook Messenger Day is designed with Snapchat users in mind. And they're making it as easy as possible for disenchanted Snapchatters to make the move over. In a matter of moments, you can find friends, begin chatting, and share your day in Messenger. 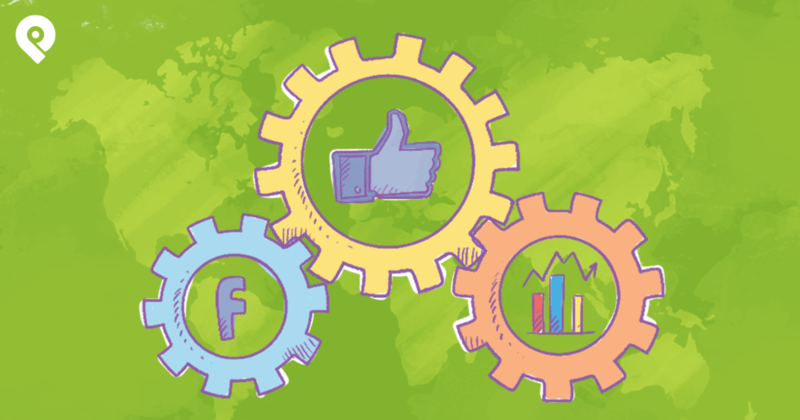 Want to increase your Facebook Engagement overnight? Try these 101 creative ideas and watch your engagement soar! 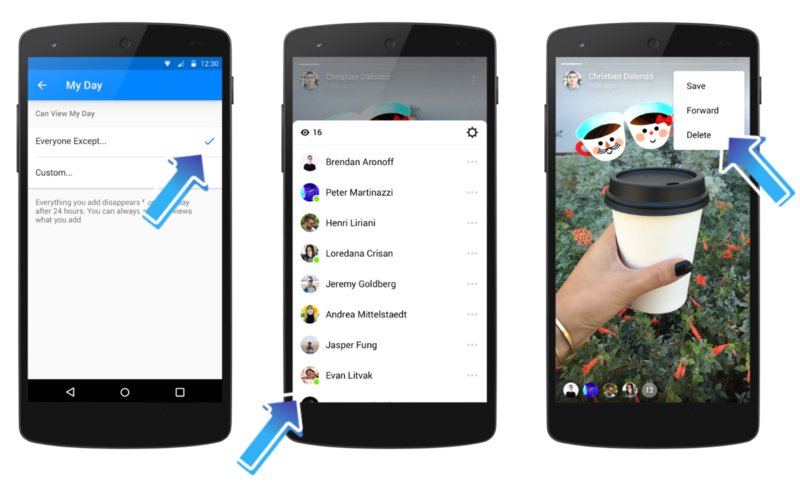 Facebook Launches Messenger Day - Is It Another Snapchat Clone? Although Facebook just announced the launch, the company has been testing Facebook Messenger Day for quite some time. Poland, Australia, and dozens of other countries have had a chance to try it out. Now, it's finally been released worldwide. Woohoo! Users all over the world will now be able to access the new features inside Facebook Messenger on iOS and Android. First, make sure you’ve updated your Messenger app so you have the latest version. You can even add images or videos to your day at any time. You can even do it right from a conversation you’re having. Of course, if you don't want to share these photos with everyone you’re chatting with, you don't have to. This new feature is a fantastic way to share your day with the people you’re communicating with and to bring context to any conversation. What’s also cool about Messenger Day is that it can help users break the ice, start a conversation, and even meet up in real life! Just open up the Messenger, and take a peek at what your friends are up to. Their stories will be displayed in thumbnail format up at the top of Messenger. And still have time to join or make plans. There’s no doubt about it: expiring content is hot, and it’s easy to see why. It’s extremely simple and inexpensive to create and share. Because it disappears after 24 hours, it’s always relevant - giving your audience an “in the moment” experience. But should Snapchat worry? You betcha! Facebook just took the best that Snapchat had and made it better. Don’t forget that Facebook Messenger already has a huge user base, and doesn’t need to build it from scratch like Snapchat did. One thing is clear: this is only the beginning and we’ll probably see many more additions and tweaks to the feature in the future. 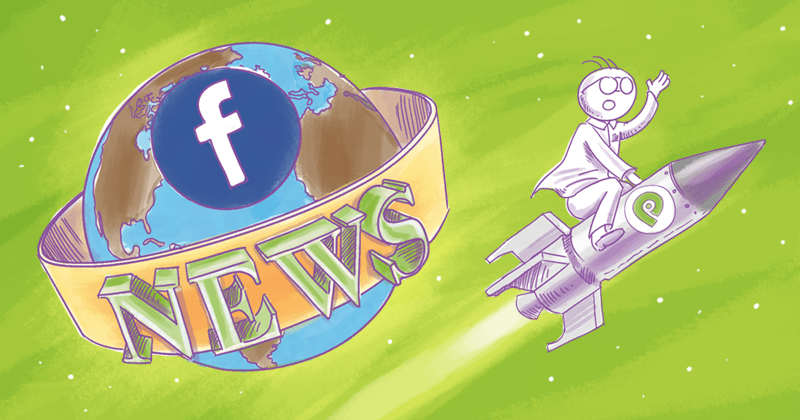 As Facebook’s VP of messaging David Marcus told TechCrunch, Facebook may also be introducing ads in between the different stories. 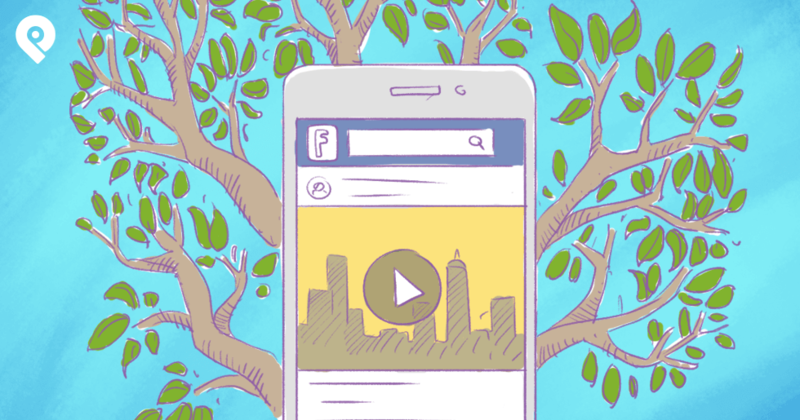 If you’re still not sharing expiring content, it’s the perfect time to start. The opportunities for a business are endless. Show your Facebook friends bits of the daily life of your company. Everyone loves a behind-the-scenes look. 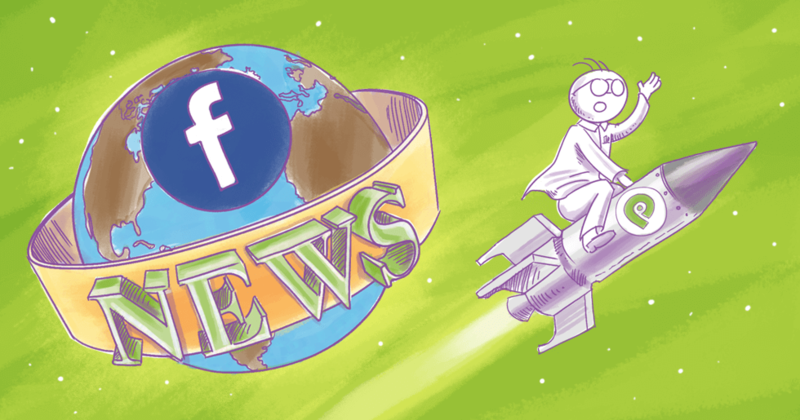 Share industry-related news. This will help you become a trusted source and an authority. You can share the piece of news and then ask your followers their opinion about it. What a great way to start a conversation! Announce product launches and let users catch the first glimpse of a new product, asset, etc. Create an expiring virtual coupon for your product and service. Just have users reply to the story while it’s still stile and take part in the offer. In the beginning of the year, our CMO, Rebekah Radice, shared her thoughts on the Top Trends for 2017. Surprise, surprise - expiring content was one of the top trends. Doesn’t look like that’s going to change anytime soon. 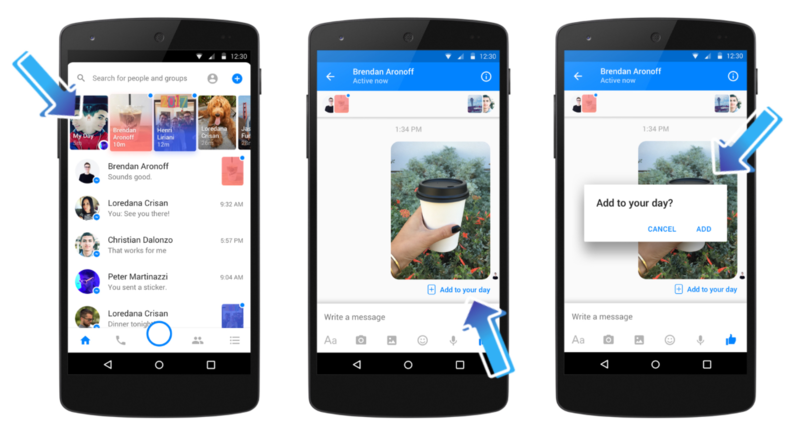 If the success of Snapchat and Instagram stories is any indication, we’ll be seeing a lot more of Facebook Messenger Day. What about you? What are your thoughts on Messenger Day? Do you think it has what it takes to make it in the social world?